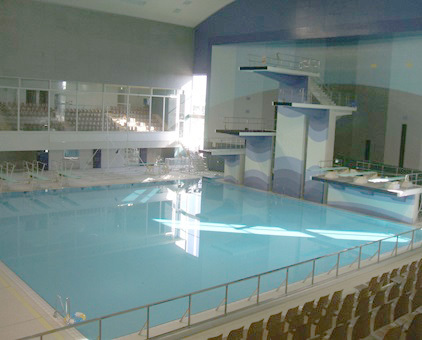 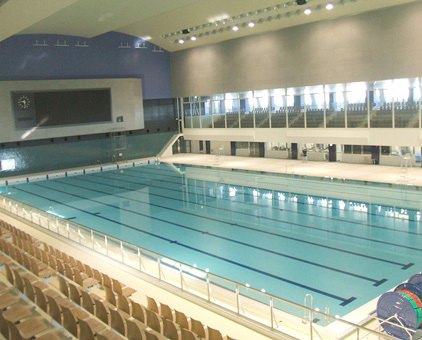 With an international standard-sized main swimming pool, it is clear that this is a high-level athletic facility. 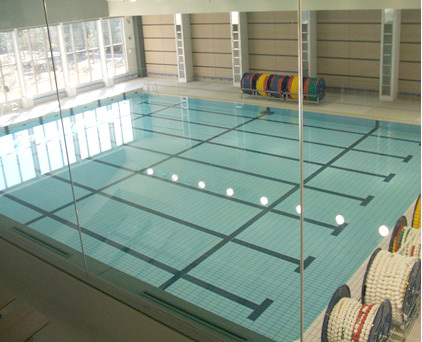 It promotes healthy living through fitness, leisure, and relaxation with multiple facilities. 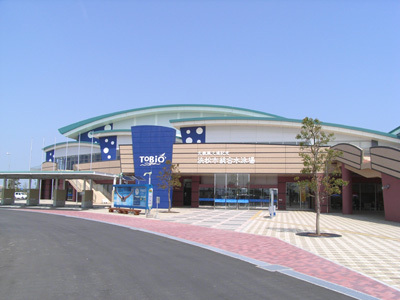 The building also utilizes heat generated from steam produced at the adjacent Western Hamamatsu Disposal Plant to heat warm water pools. 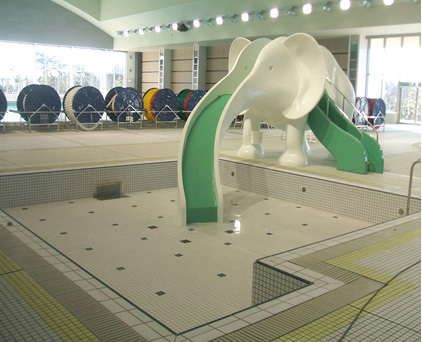 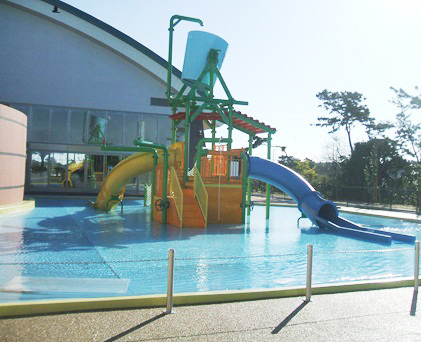 Indoor / Outdoor Children’s Pool, Indoor / Outdoor Leisure Pool, Jacuzzi, Inner / Outer Baths, Cold-Water Baths, Fire Extinguishing System (SP), Sprinkler. 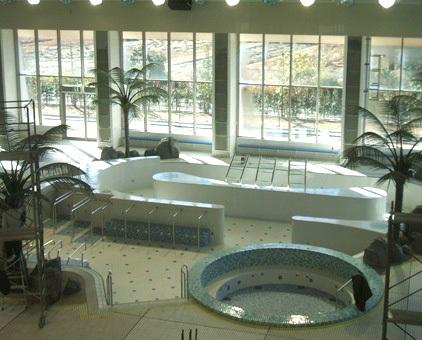 Water filtration system to filter rainwater for reuse as gray water and sprinkler systems.